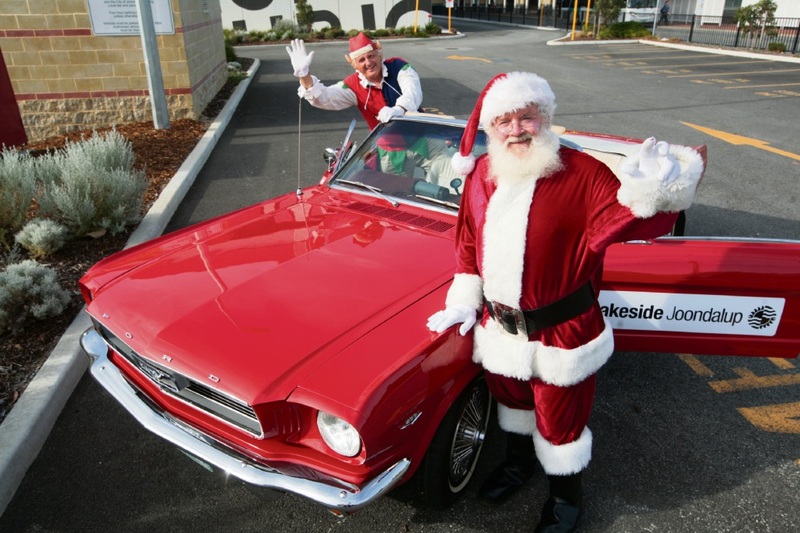 SANTA swapped his sleigh for a red Mustang convertible on a recent tour around Perth. 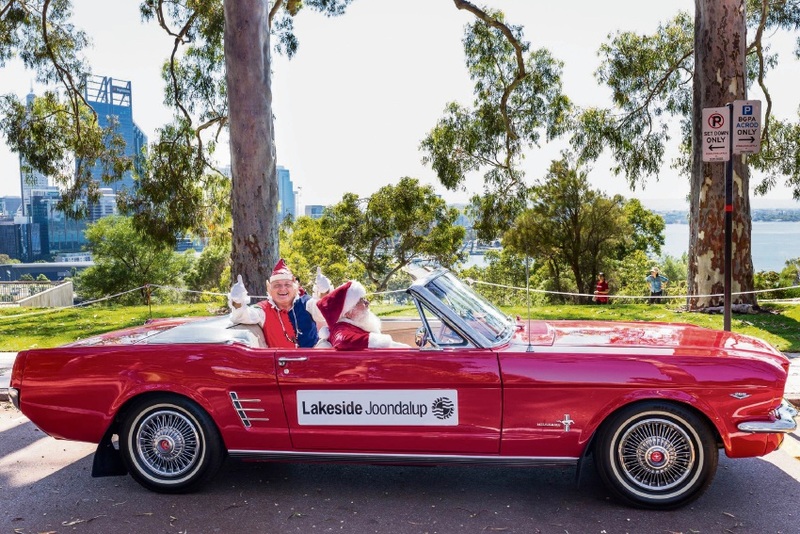 Before setting up at Lakeside Joondalup for the festive season, the jolly man and his helper cruised around iconic locations including Cottesloe Beach and Kings Park. 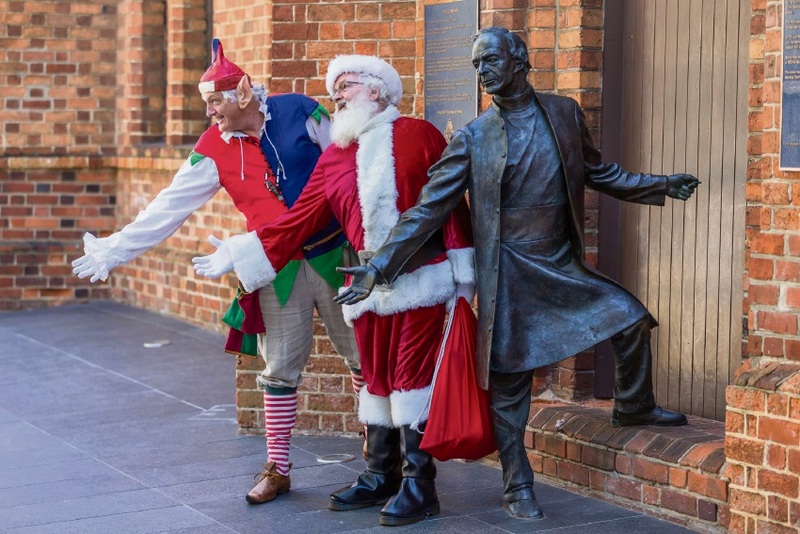 He said it was a great day meeting people around the city. Centre manager Gemma Hanningan said he helped share the word about upcoming activities. 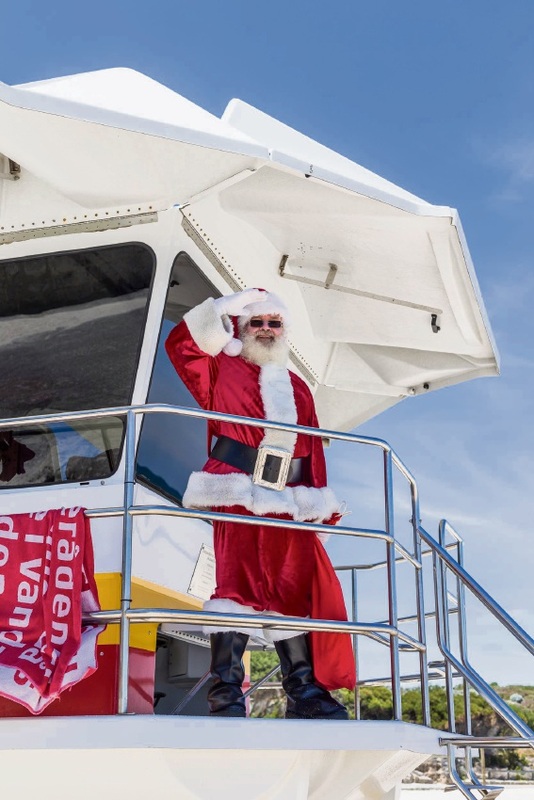 “We are always looking for new ways to spread the Christmas cheer and this year we’ve transformed the centre into a scene straight from the North Pole,” she said.